Learn about the unique charm of Montsegur-sur-Lauzon with a stay in a private vacation home. You'll find plenty to explore during your stay in the area. Jean-Henri Fabre Museum and Triumphal Arch of Orange are just a couple of the must-sees in the area. Whether you're planning a family holiday, romantic stay or friends trip, vacation rentals offer features like full kitchens and laundry facilities for a more convenient stay. Fly into Avignon (AVN-Caumont), the closest airport, located 32 mi (51.5 km) from the city center. Where to stay around Montségur-sur-Lauzon? 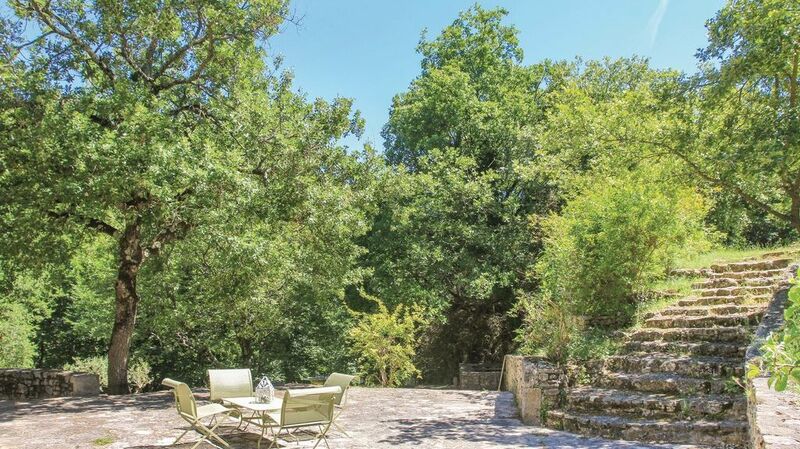 Our 2019 accommodation listings offer a large selection of 609 holiday lettings near Montségur-sur-Lauzon. From 352 Houses to 78 Bungalows, find the best place to stay with your family and friends to discover Montségur-sur-Lauzon area. Can I rent Houses in Montségur-sur-Lauzon? Can I find a holiday accommodation with pool in Montségur-sur-Lauzon? Yes, you can select your preferred holiday accommodation with pool among our 465 holiday homes with pool available in Montségur-sur-Lauzon. Please use our search bar to access the selection of holiday rentals available.